Downtown St. Petersburg, Fl. 868,000 sq.ft. Waterfront Condo with 250 residential units and 11 commercial units and restaurant. Chillers handle the common areas and commercial floors, Heat pumps in each of the 250 units. Challenge: We found this system to be in good operating condition and reasonably clean with only light scale and bio-fouling. Although the existing water treatment was adequately protecting system integrity, it was operating at 50% wastewater discharge. 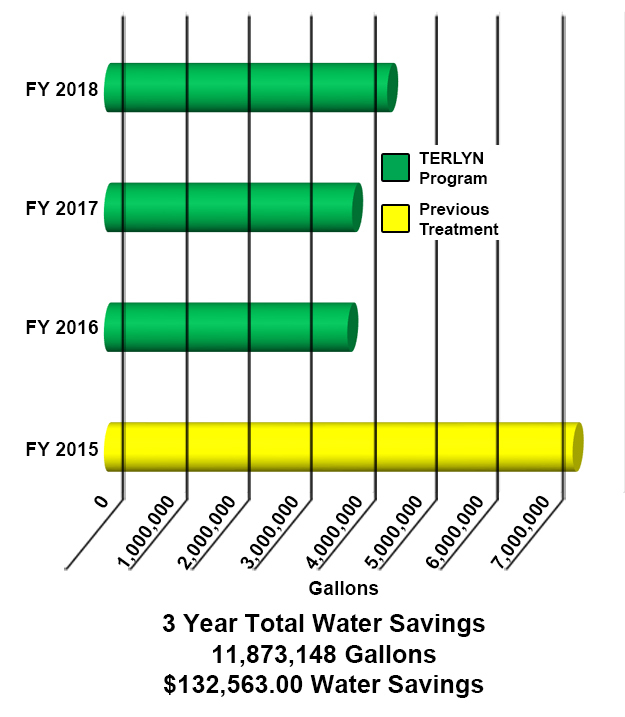 Results: By implementing the TERLYN cooling tower water conservation program, we were able to achieve complete system integrity and provide maximum sustainable cooling tower water conservation. And provide a significant cleanup of the towers and system. In the first 3 years of operation on our program, system water consumption and wastewater discharge was reduced by 50%, saving 11.8 million gallons of potable water for the community.